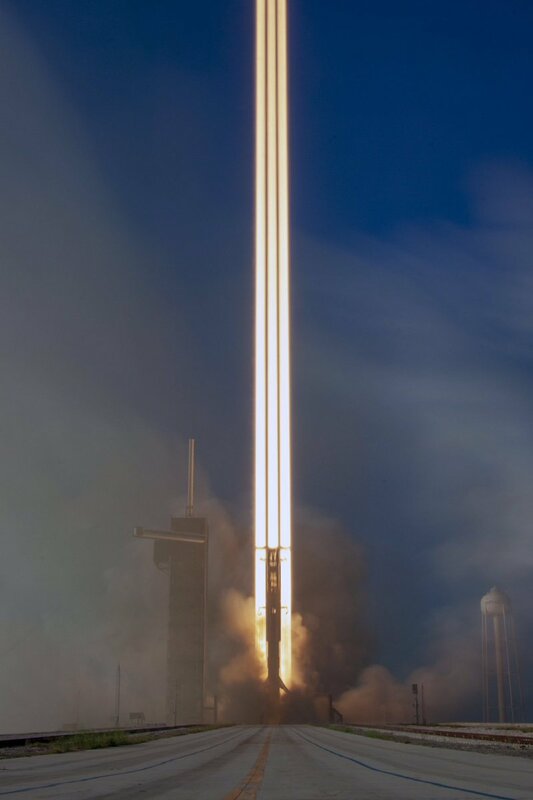 How does the crew dragon anomaly/explosion impact future Falcon Heavy non-crewed missions (if at all)? 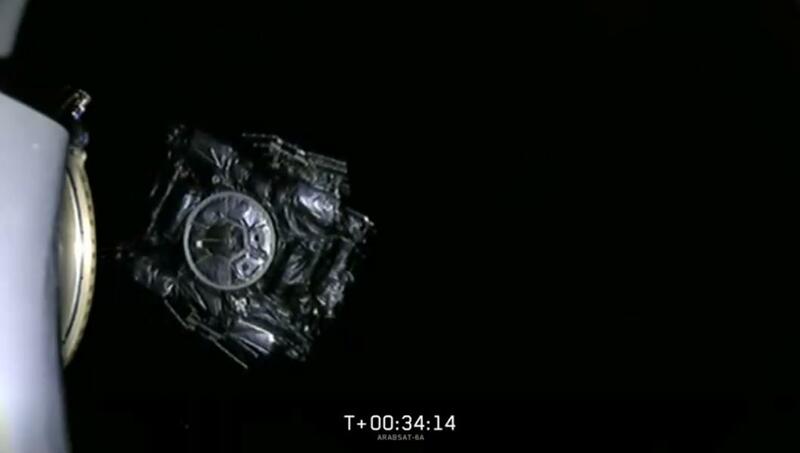 Astronut099: "Yep, this isn’t good..."
Video of the Dragon 2 mishap courtesy of Twitter; capsule is most definitely destroyed. 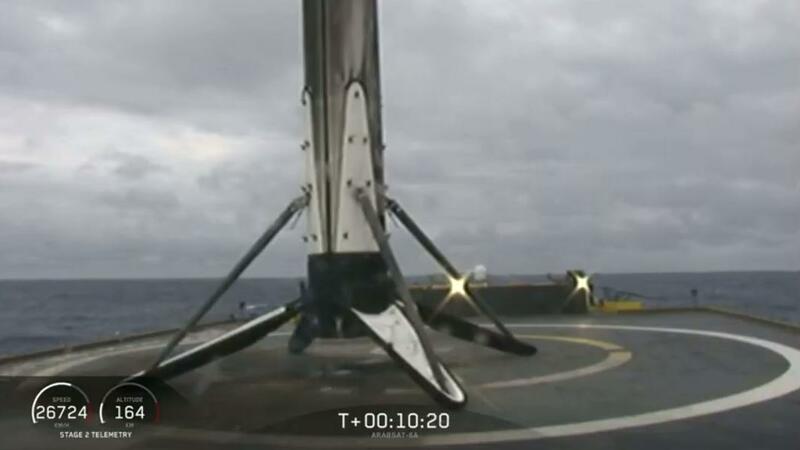 Stephen Marr on Twitter: "#FalconHeavy center core B1055 tipped over due to rough seas. 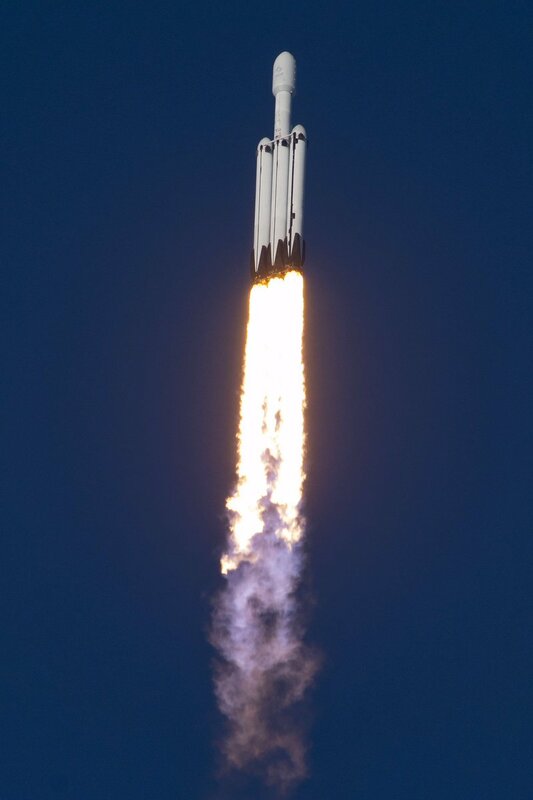 Most of it still remains on board #OCISLY, but the top half is gone." 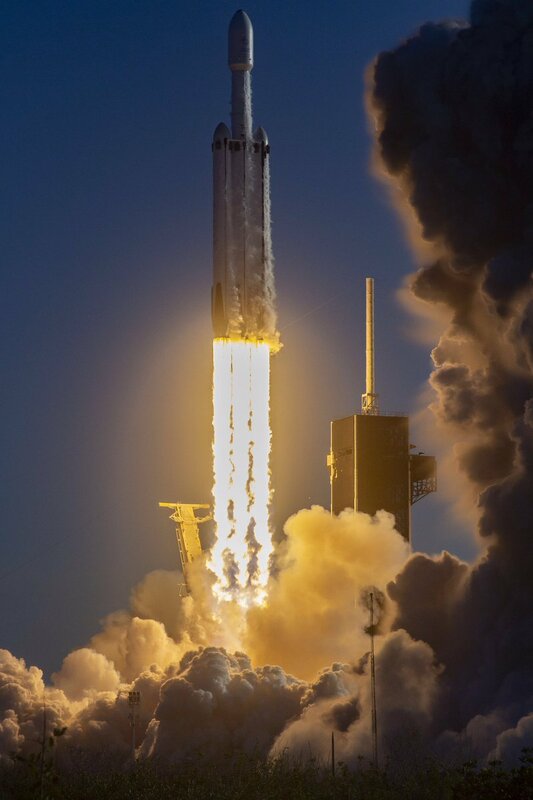 North American Aerospace Defense Command on Twitter: "NORAD welcomed @SpaceX CEO Elon Musk April 15, 2019 to @CityofCOS, where he participated in conversations and round table briefings about future space operations and homeland defense innovation." 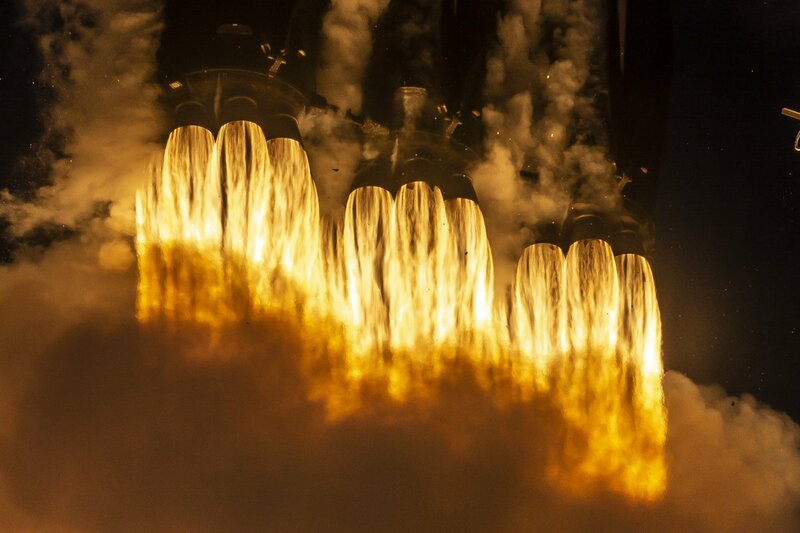 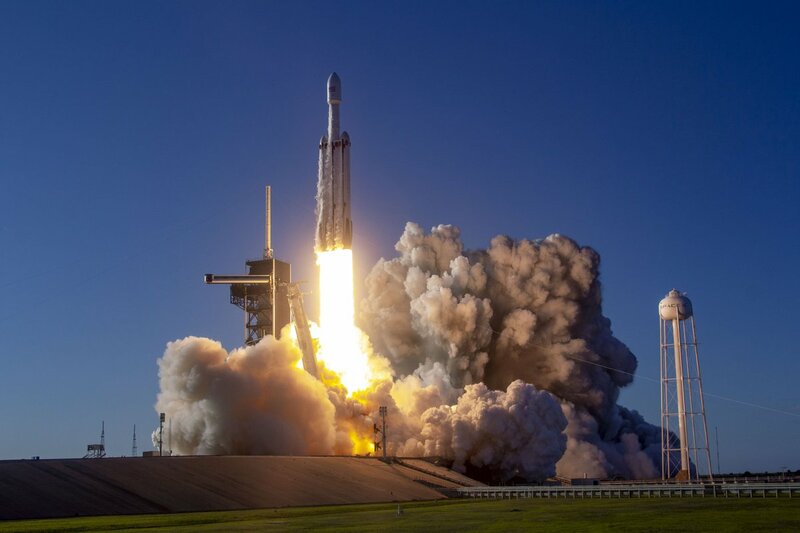 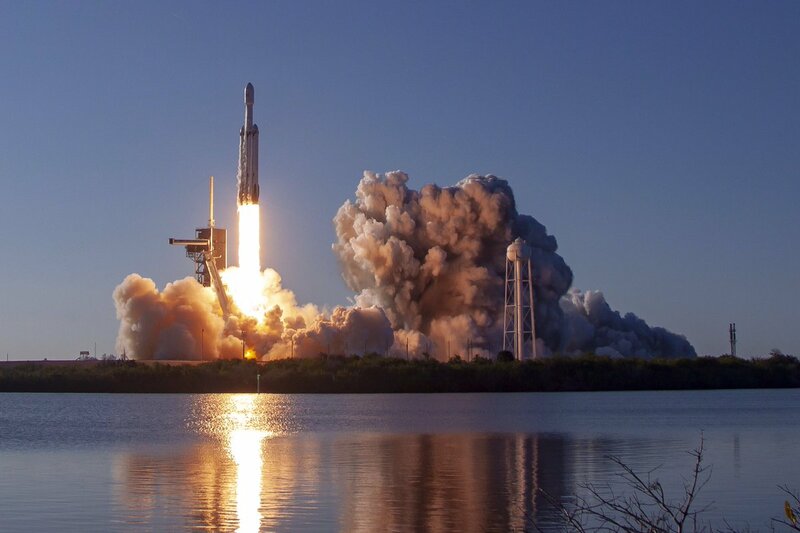 Successful deployment of Arabsat-6A to geosynchronous transfer orbit confirmed—completing Falcon Heavy’s first commercial mission! 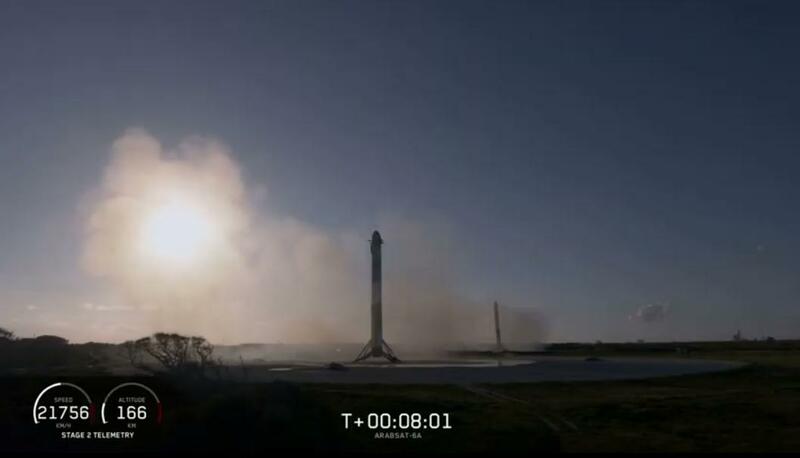 Falcon Heavy’s center core has landed on the Of Course I Still Love You droneship! 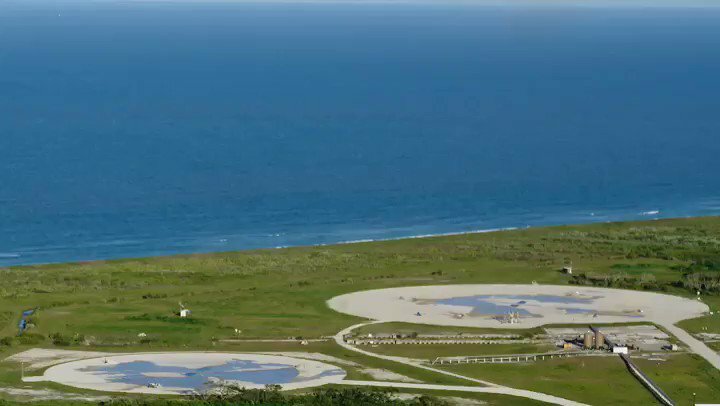 Falcon Heavy side boosters have landed at SpaceX Landing Zones 1 and 2!